Metastatic epidural spinal cord compression (MESCC) is an oncologic emergency that requires prompt treatment. MESCC is most commonly treated with radiotherapy with or without corticosteroids. Upfront decompressive surgery may be used for selected patients with a good performance status and a relatively favorable survival prognosis. For radiotherapy, several dose-fractionation regimens are available ranging from a single fraction of 8–10 Gy to multi-fraction long-course programs such as 30 Gy in 10 fractions or 40 Gy in 20 fractions. The most appropriate regimen for an individual patient depends on the treatment goals and the patient’s expected life span. With respect to improvement of motor function specifically maintaining or regaining the ability to walk, a single fraction of 8 Gy is as effective as longer-course programs. Longer-course programs provide better local control of MESCC than single-fraction and multi-fraction short-course programs (e.g., 20 Gy in five fractions). Since the risk of a recurrence of MESCC in the same area of the spine increases with life span, patients with a better survival prognosis appear better treated with longer-course radiotherapy. Patients with a very favorable prognosis might even benefit from dose-fractionation regimens with total doses >30 Gy. 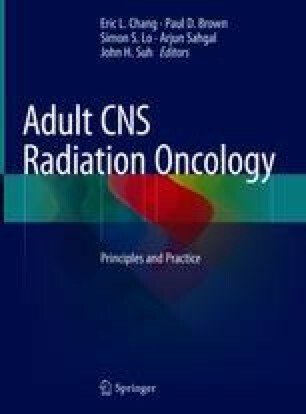 Thus, for optimal personalization of radiotherapy in patients with MESCC, it is important to estimate a patient’s remaining life span. This is facilitated with survival scores available for MESCC in general and specifically for several primary tumors associated with MESCC.